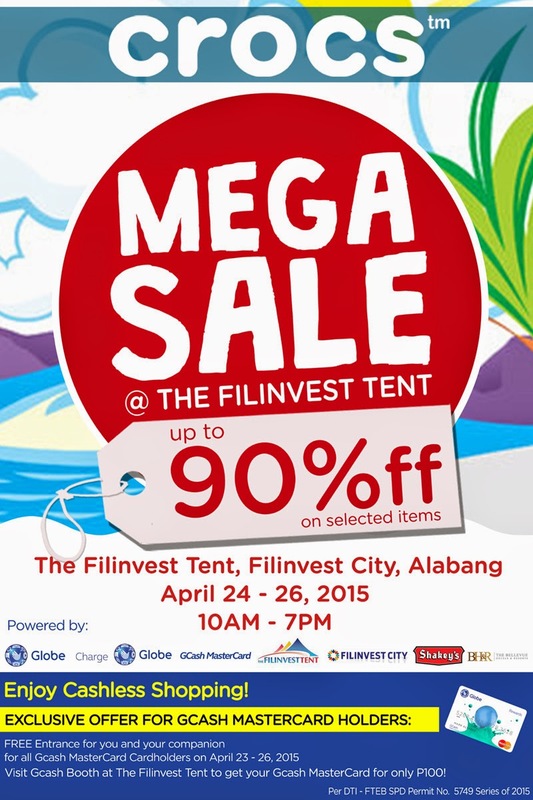 I am excited to go shopping tomorrow at the CROCS MEGA SALE @ THE FILINVEST TENT with up to 90% off on hottest selected items. This is happening from April 24-26, 2015 10AM-7PM. For more information on CROCS MEGA SALE like Crocs Philippines on Facebook and follow @crocsph on Twitter and Instagram. Too bad the venue is very far from our place. :/ I hope they'll have one in Megamall at least. :) That's a huge sale!